I’ve found this an interesting challenge, perhaps in one way more interesting than most would have found it, because I’ve personally experienced little of the greater world, leading a rather provincial existence, most of it in the wooded hills of southeastern Ohio. Obviously, I could never pass for a cosmopolite. As for the challenge, I’ve tried to keep in mind Gordon Graham’s caution about not just listing books we love, but books that are important revelations of what it is to be “American” (the quotation marks are necessary, for the word is exasperatingly elusive, precisely as it is meaningful). Still, I’ve tried to list those that I love among those that are informative, having my cake and eating it, too – in a manner of speaking..
An inevitable choice and a beautiful book, although a seriously flawed novel (strictly speaking, PUDD’NHEAD WILSON is better as a novel). Still, HUCKLEBERRY FINN is on just about everybody’s list of the best whatevers, and can even inspire people to such insipidities as Harold Bloom referring to one of the paragraphs as the most beautiful paragraph in the language. Unutterably silly, to be sure; but his silliness does convey something of HB’s mindless enthusiasm. Hemingway once famously said that all American novels grew out of HUCKLEBERRY FINN, but elsewhere he said that war was the only subject worthy of a writer. Of course, he said a lot of things, and it would be curmudgeonly for us to insist too seriously upon his making sense whenever he opened his mouth. In this short, complex novel, Eudora Welty has created a world that is paradoxically regional (“southern”), even clannish, and yet generically “American” – even universal. Indeed, throughout the novel, the birds constitute a strange voiceless Chorus, creating a delicate thread of ironic symbolism, in which near the end of the novel, a bird is even trapped in the dead man’s house with Laurel (the trapped bird symbolizing bad luck, of course), causing her to say, “Birds fly toward light – I’m sure I’ve been told.” Just as good novels try to work their intricate ways toward the light. This is a beautiful novel, justly celebrated; and it will not easily reveal its deeper secrets, nor will those secrets entirely fade from a reader’s mind. A repository of the wide-ranging thoughts of a man who was once known as “the wisest American” – a term that is not as foolish as many such superlatives. These journals, ostensibly written for himself, teem with observations that open up parts of the world, and that world is Emerson’s New England as well as . . . well, America and the World! The journals are available in a 10- volume edition, but the one volume edition, edited by Bliss Perry, provides a useful introduction. In a way, and for many, GATSBY can be elected to that pinnacle of “the great American novel” – which is an unfortunate label, but to the extent that it makes any kind of sense, Fitzgerald’s masterpiece would make a strong bid for the job. No matter how the word is defined, Hemingway was just about as “American” as a writer could ever be, and yet most of the places celebrated in his books are European or African. In this collection of the Nick Adams stories, however – culled from his other story collections and published after his death – the American scene is a vivid and unmistakable presence, especially Michigan, where much of Hemingway’s youth was spent. The American love of nature and the “wide open spaces” is both a distinguishing American trait and an inheritance of our British origins; in many ways, it can be said that the Brits invented the love of nature as we know it, but, of course, we have expanded and changed it in response to the unique geography of our land.. Some of the stories gathered in this volume are familiar to all who know Hemingway’s work (e.g., “The Killers”; “In Another Country”; “Big Two-Hearted River”). But there are lesser-known short pieces here worth reading, and they all to some extent savor of the land they’re in, as well as being about Nick Adams, who is of course Hemingway himself – as well as of course not. In my reading of what I consider the worthiest books, I take notes on a sheet of paper that I fold into their pages, and if I find the book especially interesting, my notes may number as many as 50 or 60; but my notes for KITTY FOYLE number 72. To understand the book, one must first realize that it was published in 1939, near the end of the Great Depression in America. 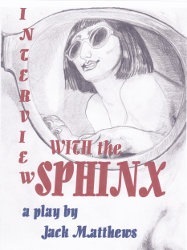 Kitty is a “working girl” in Philadelphia, and she tells her own delightful and richly thoughtful story. And her voice throughout, along with her many obiter dicta (in a manner of speaking) are wise and lovably sensitive. This collection of Edith Wharton’s stories contains her masterpiece, “Roman Fever” – whose action takes place in Rome, as its title proclaims, and yet the story is as “American” as baseball and the unassisted double play. The story opens with two wealthy, middle-aged American ladies standing together as they enjoy the view of Rome from the terrace of a restaurant. Mrs. Slade and Mrs. Ansley have been lifelong acquaintances, if not exactly friends, for it has simply been their destiny that has woven their lives together. What happens in this story is too good to relate, but let it suffice to say that “Roman Fever” is a splendidly developed Contest story that the reader will not soon forget. And, of course, the values of these two women, including the brand of snobbery that decorates the arena of their contest, are all distinctly “American”. Also, Mencken’s delightful HAPPY DAYS says a lot about American life as he remembered it over a century ago. But it no doubt remains much the same, although with our hypocrisies dressed in different clothing. Then, too, one should mention Mencken’s delightfully acerbic essays in his PREJUDICES series. AMERICAN CAESAR: DOUGLAS MACARTHUR, William Manchester. As for AMERICAN CAESAR: it is splendidly researched, vividly written and worthy of its subject. At the risk of disgusting those who realize that my final choice may be rooted in nothing more than vanity and ignorance, I’ll list HANGER – crossing the line of taboo and violating all the proprieties in sight. Nevertheless, the novel has been praised for its grasp of the American idiom, and so I’ll risk listing it here. It’s a first-person narrative by Hanger Stout, an Ohio teenager in the 60s, who doesn’t know a past participle from a cephalopod, but he has a good heart and in his own way, a clear head. He works in a filling station back in the days when attendants were hired to fill customers’ gas tanks. Hanger gains his nickname by his ability to hang by his hands longer than just about anybody else (a mild spoof on America’s obsession with athletics here), which threatens to make him, well, famous. Hanger is gentle, undemanding, quasi-illiterate and something of a funny saint. 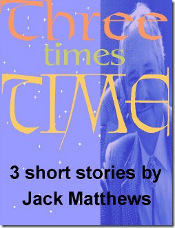 Jack Matthews (1925-2013) is the author of philosophical fiction. He has published over 20 titles, and his next collection of short stories, Soldier Boys will be published by Personville Press in April, 2014. In 2011 Etruscan Press published Jack Matthews’s latest novel, THE GAMBLER’S NEPHEW. No doubt that title will astonish most readers, and as nearly as such things can be measured, 82% of you will be so irritated that you’ll be tempted to forego whatever ensues. Nevertheless, you should be patient, for it is a real question and it opens up real possibilities, not confined to the obvious difficulty in clearly defining exactly what “intelligence” is, as used by rational people–which is to say, people who are … well, intelligent. The funeral service is to be December 7th, with a 12:00-2pm visitation, and 2pm service at Jager & Sons Funeral Home, Morris Ave., Athens, Ohio. After a minister speaks, there will be invitations to whomever wishes to get up to speak briefly about Jack. John H. “Jack” Matthews, age 88 of Athens, died Thursday morning, Nov. 28, 2013 at his home. He was an American novelist, short story writer, essayist, playwright and Distinguished Professor Emeritus of Creative Writing at Ohio University. 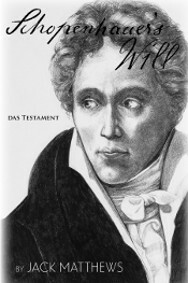 He published seven novels, seven collections of short stories, a novella and eight volumes of essays. He was an avid book collector, and many of his book finds served as a basis for his essays and the historical topics he explored in his fiction. He was also the recipient of numerous literary and professional awards. He was born July 22, 1925 in Columbus, the son of the late John H. & Lulu Grover Matthews. He received his B.A. in classics and English and his M.A. in English from The Ohio State University. He was a U.S. Coast Guard veteran of World War II serving aboard the Cutter Maclaine in the Northern Pacific Theatre on anti-submarine patrol out of Sitka and Juneau, Alaska. He was a member of the Athens Rotary Club, where he was a Paul Harris Fellow, and the Aldus Society. Jack is survived by his loving wife of 66 years, Barbara Jane Reese Matthews; his children- Cynthia Ann Warnock, married to Wyman Warnock of Dacula, Ga., Barbara-Ellen Matthews-Saunders, married to John Saunders of Chesterhill and John Matthews, married to Cathy Hart Matthews of Lore City; seven grandchildren- Jed (Lori) Warnock, Casey (Kelley) Warnock, Catherine Warnock, Smith (Natalie) Weir, Eric (Sarah) Platt, Jack (Lindsay) Matthews and Clay Matthew and his fiancé Casey Passen; six great grandchildren- Brandon, Ansley, Hailey & Peyton Warnock and Aidan & Noah Weir. Besides his parents he is preceded in death by a sister, Dorothy Matthews Donahue. A memorial service will be held Saturday, Dec. 7th at 2:00pm at Jagers & Sons Funeral Home, Athens with Pastor Lynn Miller officiating. Friends may call Saturday 12:00 noon until time of service. Military rites will be conducted at the funeral home. In lieu of flowers, contributions may be made in Jack’s memory to the Athens Rotary Club, P.O. Box 681, Athens, Ohio 45701. Please share a memory, a note of condolence or sign the online register book at www.jagersfuneralhome.com. Jack Matthews was a literary giant for this nation whose value and importance will only increase with time. He was also a constant source of joy and hilarity. His stories displayed a keen understanding of human motivations and a knack for recognizing beauty and humor in the smallest of things. 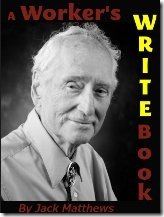 Early on Thanksgiving morning, Ohio author Jack Matthews died after a long-standing illness. He was 88. I will be making a bigger announcement and posting my “literary obituary” about him this weekend, but for now, here is a flash fiction he wrote from his soon-to-be-published Abruptions flash fiction collection. Three years ago in an audio interview Jack Matthews mentioned that Abruptions contained 88 short stories, a number which was formally interesting because it corresponded to the number of keys on a piano. In a kind of cosmic irony, that same number 88 also corresponded with each year he lived on earth. (Flash fiction from “Abruptions”, which will be published in 2014).